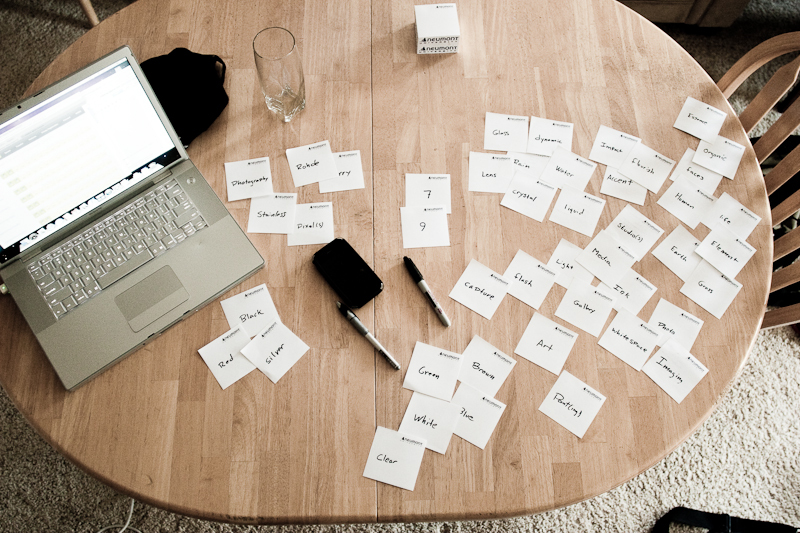 A quick shot from a brainstorming session. For those of you who don’t know, I’ve been working towards setting up and starting up my own photography business on the side, starting originally with weddings, but moving forward I’m looking to expand into other genre’s. Enjoy!